LED up light technology can make any venue stunning. With LED technology almost any colour is possible. 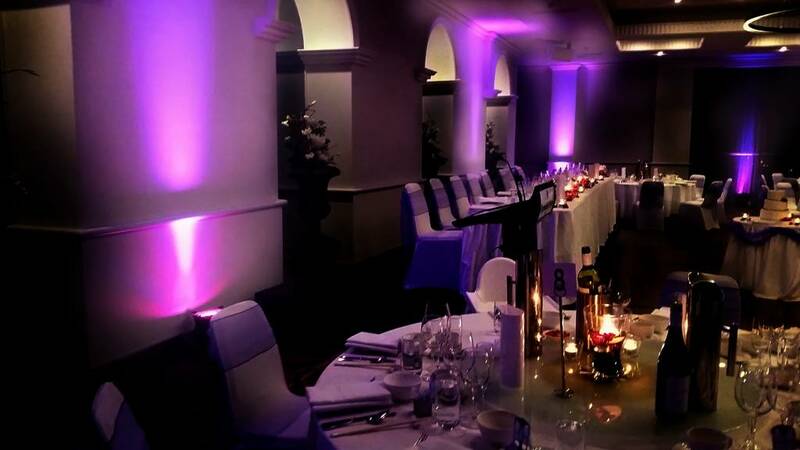 HERODJS can provide mood lighting hire to take your decorations and event styling to the next level. Up lighting adds unmatched atmosphere and ambience to your wedding or event. Colours can be chosen to match the theme of your event and custom packages with pin lights and effect lighting can be arranged. HERODJS mood lighting hire can be included as part of your DJ package or as a stand-alone service. HERODJs will consult with you to help you pick colours and mood lighting styles to suit your needs. 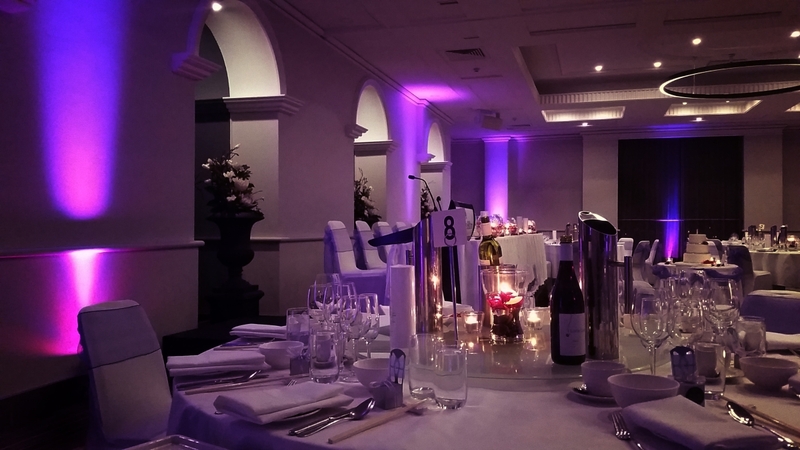 Once your lighting package has been decided HERODJs will consult with your venue to ensure that the set-up of mood lighting is done correctly. Contact HERODJs now for a quote on mood lighting for your event.